Dr. Michelle Gurfinkel is an experienced general dentist whose gentle touch, friendly demeanor, and meticulous attention to detail make people of all ages feel comfortable. Dr. Gurfinkle provides preventive, restorative, and cosmetic dental services including fillings, crown and bridgework, dentures, dental implant restorations, porcelain veneers, teeth whitening, Invisalign® aligners, and oral cancer screenings. She also provides emergency dental services to alleviate toothaches and mouth pain. She is a family dentist who treats adults, teenagers, and children and is adept at anxiety management so her patients feel comfortable and relaxed during their visit. Dr. Gurfinkel takes the time to talk to her patients and get to know their concerns and their goals regarding their smile. Her patients leave with a clear understanding of their treatment options, as well as what they can be doing at home to maintain a beautiful smile. Oral hygiene, nutrition, and daily habits can all influence your oral health. 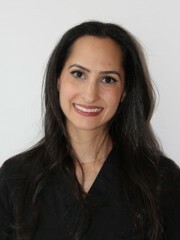 Dr. Gurfinkle earned a Doctor of Dental Surgery degree from New York University College of Dentistry and completed a general practice residency program. She speaks English, Spanish, and French. Dr. Gurfunkel and Terry work like a well oiled machine. Each knows what the other is thinking. Amazing Duo! !